Last year we decided to get a wood burning stove insert for our fireplace, but that meant the mantel needed to be moved up a couple of feet or it would get too hot. I decided to use this opportunity to get a new mantel, yay! 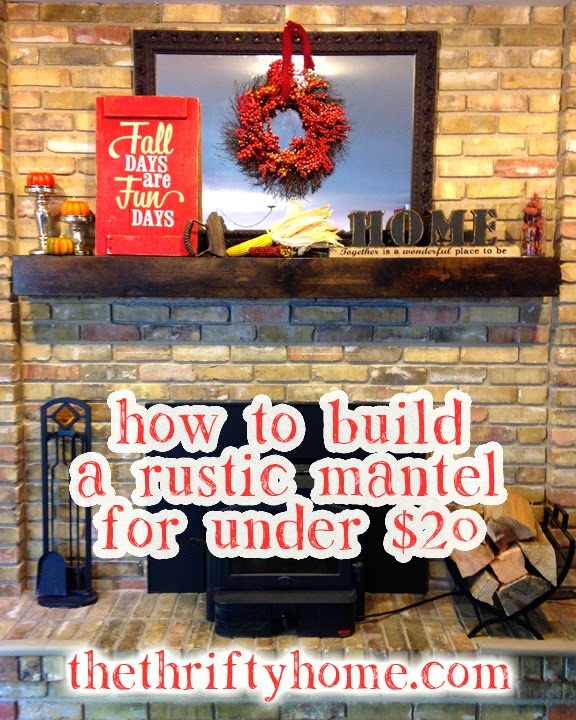 After looking around at mantels that were $200 or more, we decided to make our own. 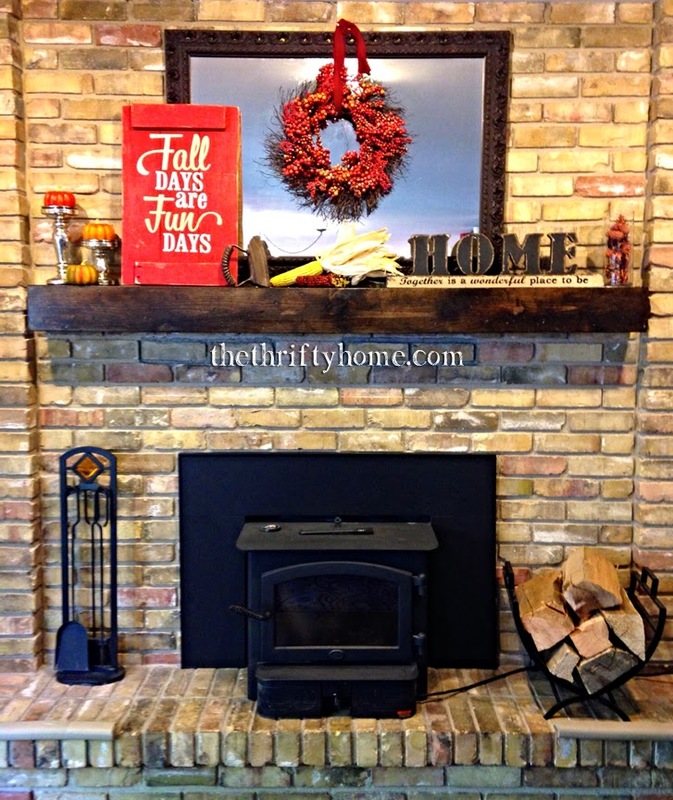 Remove the old mantel. Ours had been attached to some 2x4s in the brick. We then removed the 4 bricks from the area we wanted the new mantel and used them to fill in the holes left from the old mantel. 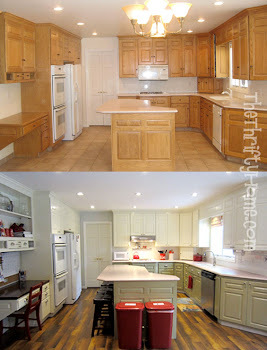 I never got around to painting the new grout to match, so you can see our patch job in the photos. 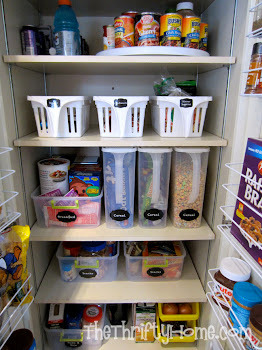 Buy your supplies. 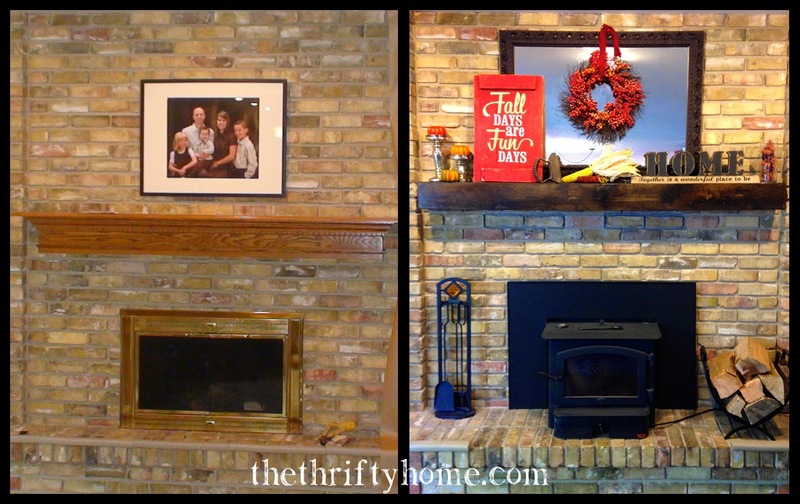 We built our mantel out of three (3) 1" x 6" x 8" pine boards (about $5.00 each). We ended trimming the depth to 5.5 inches, because it looked odd when we tested it above the fireplace. We also added some supports (with the leftover wood) inside of the box to maintain the shape, and to add strength. Find some chains and other metal objects and have fun beating up the mantel. Sand the rough edges and stain it. 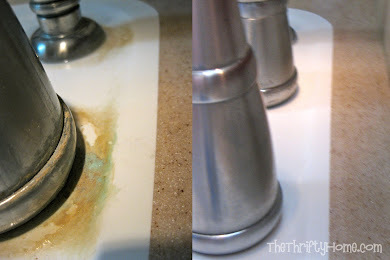 I just used the leftover stain I had from my kitchen desk and applied several coats. Slap on a couple coats of polyurethane and hang it up. If you are crazy enough to attempt this, I suggest you go to a fireplace store and take pictures of the mantels you like. Study the back of the mantel and take pictures of how it is constructed. The decorations on my mantel are also really inexpensive. the mirror was my grandmother's and I spray painted it. The iron was also my grandmothers and I think she actually used it back in the day. The wreath was $10 at Walmart and the other items were from my local craft store with 50% off coupons. 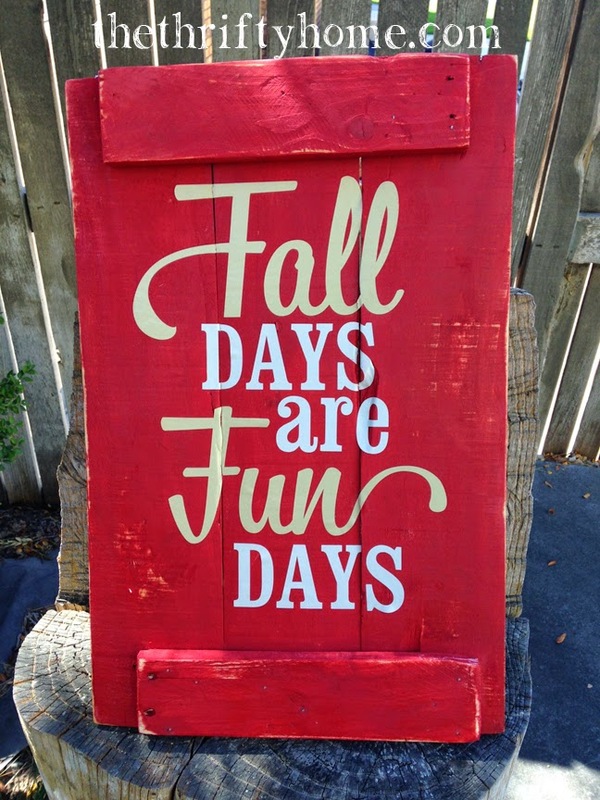 I just made this pallet sign today! 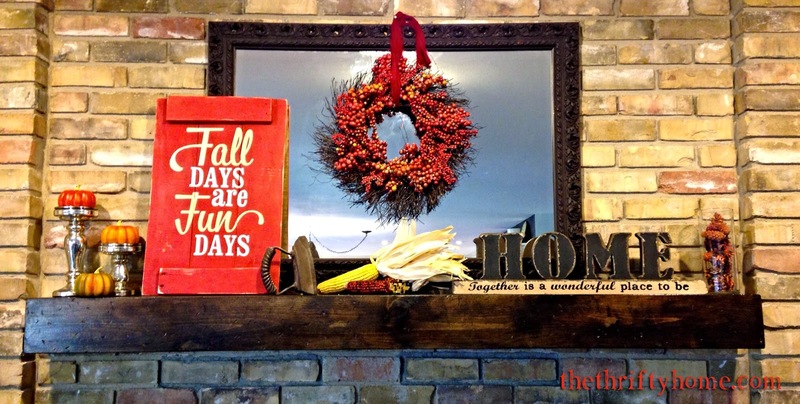 I thought my mantel needed a pop of color and I found this cute phrase at the Silhouette online store. The pallet boards I used were free, the vinyl cost about $1, and the paint is a mixture of leftover acrylic paints I had. I plan on putting a Christmas phrase on the back so I just have to turn it around after Thanksgiving.